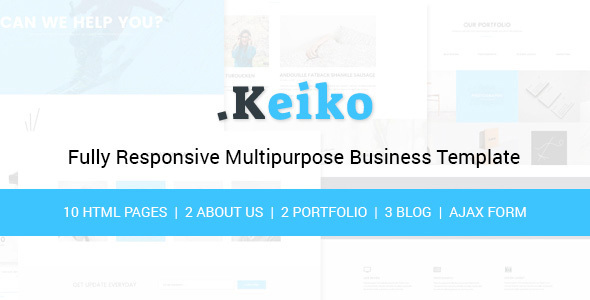 Keiko is a HTML5 CSS3 template that can be used for your business. It can be used for many purposes such as business, marketing, creative agency, and many more. This template has a clean, simple, and modern design. Use google font and font awesome, this psd template is easy to customize.